A local shelter rescues pets from hurricane affected zones. Home composting will now be accessible to all residents. Learn more about a new initiative in our area. The Larchmont community helps a local barber. We host a live roundtable discussion on daca and our community! This past week we took the Local Live to the streets of Mamaroneck during the Summer on the Avenue Block Party. Working with Pet Rescue Vice President, Paula Krenkel and Board Member, Barbara Gebala. We showcased several adorable dogs that need a new home. Bailey is a 1-2 year old Siberian Husky from West Virginia. Bailey has one blue eye and the other is brownish-blue. Bailey is very energetic, loves lots of activity and going to the dog park. Looking for a house with another dog. Seg is a German Shepherd, who also from West Virginia. He is 7 years old and weighs 74 pounds. He gets along with other dogs, cats and people. Seg loves to be with his human and doesn’t like to be alone for long periods of time. Kuno is a 2 year old Terrier mix. He is 20 pounds and is very active and bouncy. He gets along with other dogs and is looking for a house with older children. Serena is a hound-beagle mix. She is around a year old, 37 pounds and is trained. Serena is a little shy but, very sweet and is good with any family. Hamilton is a Golden Retriever-Cocker Spaniel-Shepherd mix. He is still a puppy and needs constant attention but, he is very mellow. Lady, Leo (black coat), Levi, Leon, Landon (name subject to change) are siblings. They are are 3-4 months old, 7-8 pounds, and are not house broken but, are paper trained. It is not recommended to have small children around them because they are teething. For more information on any of these dogs and to learn about other pets, please go to www.ny-petrescue.org. Three companies have bid to manage and operate the Westchester County Airport. Frasca and Associates, consultants for the county will be reviewed and identified next week. The bidding process is required by the Federal Aviation Administration. The bid was announcement following a public meeting held on Thursday, July 27th. The purpose of the meeting was to consider a controversial plan to overhaul the airport and add two departure gates and new parking garages. Opponents are concerned that the expansion will lower nearby property values and increase noise and traffic. The week of July 30th began the annual paving project in the Town of Mamaroneck. The work will occur daily from 9:00 a.m. to 6:00 p.m. The affected areas will be Maple Hill Section, Ellsworth Road and Stoneyside Drive. Detours and traffic delays are expected due to lane closures. Officials are urging residents to seek alternate routes and to park vehicles on unaffected side roads that coincide with parking regulations. Mamaroneck’s House of Honda is closing after fifty-three years of selling and fixing motorcycles. The last official day is unclear but owner Honda Bob posted a thanks to his loyal customers on Facebook and said he was “on to living a new and different life, taking all my wonderful memories with me”. The Local Live wishes him well in his future endeavors. Local Live reporter, Meral Kathwari spoke with Jennie Reich Litzky about her video documentary, “Girl Power” that reflects on women in history and their impact on society. Our Pets of the Week are Yellow, a friendly cat and Bucky, a Lab Mix. Yellow loves to lounge around and be petted. She would make an excellent family pet. All she asks for is love from humans and she gets along with other cats. Bucky, who is a year-and-a-half, is friendly, outgoing and a little goofy. He gets along with other dogs. He is crate-trained and considers his crate to be his happy place. You will find a wonderful and playful companion if you adopt Bucky. For more information on either Yellow or Bucky, as well as other adorable pets, go to www.ny-petrescue.org. If you like The Local Live and want to help keep us on the air, please go to our website, www.lmctv.org and click on the DONATE. The money donated will help pay for new set furniture. We appreciate any and all donations. Salvatore DeRose, Jr., the owner of Sal’s Pizza in Mamaroneck passed away suddenly on Saturday, July 22nd, at the age of forty-nine. He is survived by his wife, Maria, his children, Alexandra, Nicole, Salvatore the third and Cristina as well as other close family members. Maria DeRose spoke on behalf of herself and her family saying “the DeRose family is so grateful with the overwhelming outreach and support of the community”. The funeral was held on Friday, July 28th at the Church of Resurrection in Rye. A Bronx resident was arrested by state police for shooting a man who was found on the side of the road on I-95, near the Mamaroneck exit on July 18th. Fifty-five-year-old Jamil Fields was charged with second degree attempted murder and first degree assault of twenty-four-year-old. Bronx native Mouhamed Cisse. Fields is being held without bail at the Westchester County Jail. The victim was found by police who were responding to a report of a crash on the highway. The U-Haul in which Cisse was riding in crashed with a maroon Honda while travelling northbound. The investigation is still open, so if anyone has any information, please call police at (914) 769-2600. Laura Bott, the owner of the Bott Shoppe and Vanessa Ridder from School of Rock recently formed the Sound Shore Business Alliance, in an attempt to unite different community groups and make community events and information easier to find. The group had their first meeting last Tuesday night. On Thursday, July 27th, a public hearing was held to discuss the Westchester County Airport’s draft master plan. The hearing included a presentation on the proposed plans as well as a time for public comment. We will have updates on this story on next week’s show. According to The Mamaroneck Review, Village of Mamaroneck Deputy Mayor, Louis Santoro is pushing for a taxpayer-funded attorney to fight an ethics complaint. This is the second time that Santoro is asking for the Village to pay for a personal attorney. Last year, the Village paid for a personal attorney when he defended himself against a lawsuit brought on by Mayor Norman Rosenblum regarding the trustees’ decision to remove the mayor’s authority to name members of several village boards. The Review reports that Santoro is again hiring a personal attorney-himself-this time to defend against a complaint that he didn’t recuse himself from certain deliberations at a public meeting that was held in February. It’s not clear if the Village will pay again for a personal attorney, since the practice is still being discussed by the Village Board. An Ethics Board representative stated that it has not yet taken up the complaint against Santoro. In our Round Table discussion, Mike Witsch spoke with Scott Rosenberg, owner of Ralph’s Italian Ices about his establishment being closed down and what he plans to do next. The Tiki Party that was held on the beach at Harbor Island on July 21st was a lot of fun for all. The event was co-hosted by LMCTV and the Mamaroneck Village Recreation Department. We would to thank Molly Spillane’s Pub and Orange Bank and Trust for sponsoring the event. Local Live reporter, Marcella Milder has the story. A new show, Dollars and Sense premiered on LMCTV on Thursday, July 27th. The show is produced by Larchmont invest professional Michael Feinman. Mike Witsch spoke with him regarding the program. Our Pets of the Week are Shy, a two-year-old cat and Blue, a two-year-old white Shepherd mix. Shy is small and looks like a kitten. She is sweet and playful who does well with other cats and enjoys human affection. Blue is calm and playful. He would do well in a home with other pets or children. If you’re a Game of Thrones fan, wouldn’t you like your own Dire Wolf? For more information on either Shy or Blue and to learn about other pets, please go to www.ny-petrescue.org. If you like our show and want to help keep us on the air, please go to our website, www.lmctv.org and click on the DONATE button. The donations will help us with the purchase of new set furniture. You can also check out our wish list on the website. We appreciate donations of any kind. On Thursday, July 20th, two trucks were filled by Westchester residents with clothes, toys and other donations that will be shipped to Syrians in refugee camps overseas. The drive was organized by two groups, Neighbors for Refugees and New Day Syria and was held at St. John’s Church in Larchmont. The VIllage of Larchmont is working with volunteers to transform Constitution Park which is located on Larchmont Avenue, next to Village Hall. The president of “Friends of Larchmont Parks” talked with The Local Live about the extent of the plans. One of the goals of the project is help support the nearby business district by holding events in the park in an effort to draw people to shop or dine in the area. The organization hopes to have the changes made within the following year. To learn more about the plans and how to donate, go to http://www.larchmontparks.com/constitution. At the recent Annual Conference of the Alliance for Community Media, which was held in Minneapolis, LMCTV’s Chief Operating Officer, Matt Sullivan and two producers received recognition. Sullivan was nominated for a seat on the organization’s national board. The election will be held soon. Producers Dena Schumacher and Sheyla Navarro won an award for Best Animation in the Access Center Professional category for their production of “Amor Hecho Pedazos”, which is a Spanish language, stop-motion Lego program, Sullivan also took part in a panel discussion about narrative film as valuable programming. He visited the Neighborhood Access Center and met with other community television leaders about the future of public access television programming. Congratulations to Matt, Dena, Sheyla and LMCtV, which, by the way, is considered a model access operation in the United States. On Tuesday, July 18th, police responded to reports of a car accident on I-95 in Mamaroneck. They found a twenty-four-year-old Bronx man gun-shot wounds on the side of the road. Reports the next day stated that the man was in critical. He had been a passenger in a GMC-U-Haul van that had swerved into oncoming traffic and hit a maroon Honda. Police are not sure if the man was forced out of the van or left on his own. The incident caused extensive delays, and caused northbound lanes to be closed during rush hour. The lanes did not re-open until 2:00 a.m. The U-Haul van had Arizona license plates and had damage to the from resulting from the crash. Anyone with information regarding the incident should call police at 914-769-2600. In the Spotlight, Le Sirene restaurant in Larchmont serves delicious Italian food. Marcella Milder spoke with the owner, Cosima Bruno and even tried some of the food. Our Pets of the Week are Myles, a five-year-old Tuxedo cat and Seg, a seven-year-old Shepherd. Myles is a little shy but is full of love and is looking for a new home. He would love to crawl into your lap. Seg is a little on the quiet side and would probably prefer a home with another friendly canine companion. He will not jump on your furniture and is very respectful to all. He gets along with all types of four-legged friends. For more information, regarding either Myles or Seg, as well as other pets, go to www.ny-petrescue.org. If you like our show and want to help keep us on the air, please go to our website, www.lmctv.org and click on the DONATE button. We appreciate any and all donations. The Fourth of July was celebrated in the Village of Mamaroneck with the annual Fireman’s Carnival, which was followed by a dazzling fireworks display on the harbor. The St. Thomas Orchestra performed in the first Summer Nights on the Sound Concert. The orchestra started off with a classic rendition of the Star Spangled Banner. After the concert, the fireworks started around 9:30. The ride-sharing program, Uber is now legal in Westchester. Some lawmakers are praising the decision to legalize the ride-hailing app, others are against it. In an attempt to combat critics, Westchester County Executive, Rob Astorino, created a program called “thumbs up” where if an Uber or Lyft driver is found to have no criminal record, there will be a thumbs up decal displayed on their vehicle so that the rider will know that they are in good hands. Local officials are still having mixed reactions even with the new program in place. Reclaim New York Director, Brandon Muir has publically praised the ride-sharing apps on their legalization in Westchester and is also thrilled to learn about Astorino’s program. Virginia Perez, the Chair of the Westchester County Board of Legislators is a strong opponent. She says that ride-sharing apps like Uber and Lyft offer unfair competition to traditional taxi companies. The issue is personal to her due to her father being a long-time taxi driver. She also that if given the opportunity to opt out of having Uber becoming legal in Westchester, she would. Despite the mixed reactions from local lawmakers, you can now call for an Uber ride legally in the county. Do local micro-breweries need more space? That could happen in the Village of Mamaroneck if the Board of Trustees approves a code remodel that will change the zoning districts in the C-One and C-Two areas. Half-time Beverage, the micro-alcohol establishment locate on Hoyt Avenue has submitted an application for a brew-pub addition, that challenged the Board’s decision to consider creating more spaces for the brewery as well other potential establishments. The Mamaroneck Review stated that there is an increased interest regarding smaller-scale breweries, wineries and distilleries-which have spiked up to three times in number since 2012 throughout the state. Alan Daniels, the president of Half-Time Breweries, said that micro-breweries make good business sense as well as having a positive impact on the economy. Keith Waitt, a Board of Trustees member, said in a statement, that he is cautious about any changes of the code stating that he is afraid of potential negative effects on on the environment as well as the lack of parking in the Village. He added that the breweries like Half-Time should instead rally for more permissive zoning laws around the breweries themselves. Mayor Norman Rosenblum has suggested looser zoning restrictions on the C-One and two other areas, but is making it clear that he doesn’t want any zoning shortcuts along the way. We will keep you updated on this developing story when we receive more information on when a potential vote on the zoning changes will occur. A Larchmont landscaper suffered a horrific accident that ended with his arm having to be amputated while on the job. The accident occurred on Monday, July 3rd around 3:40 p.m. on Barnard Road which is on the border of Larchmont and New Rochelle. As of yet, the man has not been identified and the full details regarding the accident have not been released. We will update you with any details. LMCTV is in mourning after the sudden loss of Aaron Meadow. He was talented lighting director, volunteer, friend and an overall great person. He was tragically killed in a boating accident on July 1st. One of his last projects for LMCTV was to help install the new lighting in our studio last month. Aaron liked to volunteer this time because he loved the mission of LMCTV to serve the community and to create opportunities for people to explore their creativity. Many people spoke about how he worked with lights and how he himself was a light to those who knew him during a memorial service that was held on July 5th. He will be terribly missed by all who knew him. In our Round Table discussion, Maura Carlin spoke with State Senator, George Latimer on what is happening in our county and about his running for County Executive against incumbent Rob Astorino. The annual Fireman’s Parade was held on June 28th. Marcella Milder was on hand to speak with residents as well as participants in the parade itself. Our Pets of the Week are Muffin a beautiful cat, and Emilio, an adorable dog. Muffin’s coat has splatters of cinnamon and nutmeg and her nose looks like it could have dipped in confectioners sugar. She loves to be petted and will stand on her hind legs for a head rub. She is a little cautious at first, but once she gets to know you, you’ll be her personal masseuse. Emilio is a year and half old and weighs about eleven pounds. He always looks like he’s smiling. He is very sweet and is friendly with other dogs. For more information on either Muffin or Emilio as well as other pets, please go to www.ny-petrescue.org. To make an online donation to help keep this show as well as others on LMCTV, go to our website, www.lmctv.org and click on the DONATE button. We appreciate any and all donations. The Local Live is always looking for new interns and volunteers, so send your emails to thelocalive@lmctv.org. We love hearing from you. Mamaroneck’s Fireman’s Parade celebrated its seventieth year on Wednesday, June 28th. The parade is a highlight of the annual FIreman’s Carnival. The Carnival has rides, food and will have fireworks on Tuesday, July 4th. Nearly fifty fire departments from Westchester, Putnam, Long Island, Connecticut and New Jersey participated in the parade. Mamaroneck Avenue was filled with music, marching bands as well as people who supported the community’s heroes. The Local Live was on hand to speak with residents and parade participants. You can watch Marcella Milder’s special report on next week’s show. The Village Luncheonette, which is located at 158 Mamaroneck Avenue, was severely damaged by a fire that had probably started in their kitchen on Friday, June 23rd. Witnesses stated that they saw smoke at the restaurant around 4:30 p.m. While there were no injuries reported, the restaurant remains closed. The Village of Larchmont has begun consulting with the developer who converted a Manhattan subway underpass into a walkable retail strip, in an effort to rejuvenate the business district. The Village has hired Susan Fine and Jill Hayman of Fine Development Partners to help define a new retail plan. According to the Loop, the Village will pay the group $4,000 per month, with an expected engagement period of five months. Starting this month, the consultants will reach out to residents as well as local store owners to discover ideas such as “pop-up” stores and events in the community. After hearing from residents and the Village of Mamaroneck Parking Committee, it has been confirmed that the Village of Mamaroneck Board of Trustees, will choose new single-space meters instead of the option of multi-space meters. Mamaroneck Avenue would require 240 meters which would cost the Village between $200 to $700 per unit, depending on the model and technology selected. To pay with a credit card, the minimum payment is $1 and the credit card fee per dollar would vary from 47 to 50 cents. Maria De Rose, the Chairman of the Ad Hoc Parking Committee and Republican candidate for trustee, stated that credit card fees are expensive, “a smartphone parking app would save the village money, however, it will be difficult for senior citizens who do use smart phones”. Daniel Sarnoff, the assistant Village Manager, hopes that the decision will be finalized by August. Westchester is joining the rest of New York state to legalize the ride hailing app, Uber. As of June 29th, Uber, which has been illegally operating in the state for the past several years, had threatened to shut down the app in Westchester if the county imposed its own set of rules. The Village of Mamaroneck will have 4th of July fireworks at Harbor Island Park, starting at dark. In Rye, the fireworks will be held at Rye Playland, which is located at 1 Playland Parkway, on both July 3rd and July 4th beginning at 9:30 p.m.
Our Pets of the Week are Brandi, a four-year-old Tabby cat and Rocky, a two-year-old Shepherd mix. Brandi, who is shy, needs nothing more than a few belly rubs a day, some food, water and a soft bed. She will be a source of comfort to anyone who adopts her. She would do best as the only cat in the home where she can receive all the attention she craves. Rocky, who weighs about fifty pounds, is shy but is also very sweet and friendly. He loves to play with the other dogs at the kennel, no matter their size. He is a people dog and would love to be your best new friend. To adopt either Brandi or Rocky, or to see other adorable pets, please go to www.ny-petrescue.org. 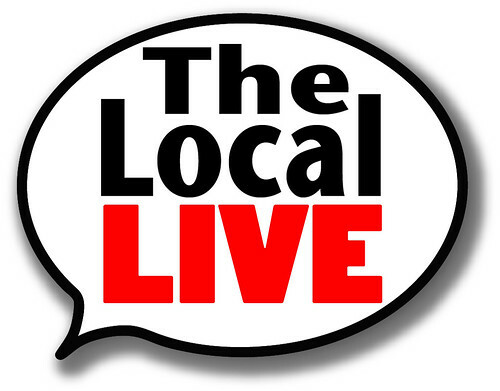 The Local Live is looking for donations to replace background flats. The current pieces are beyond repair. To make an online donation, go to www.lmctv.org and click on the DONATE button in the upper right hand corner. Your donation will help and we appreciate any and all donations. The Local Live is always looking for new volunteers and interns. So send your emails to thelocallive@lmctv.org. We love hearing from and would love to have you join our crew. The Mamaroneck democratic party announced its candidate slate for 2017, with on long-serving councilman off the roster and one new name in his place. Returning candidates include Nancy Seligson, Town Council member Jaine Elkind Eney, and Town Justice Ron Meister. First-time candidate Sabrina Fiddleman is joining them. Councilman Ernie Odierna, who has served on the Town of Mamaroneck Board since 1999, is not seeking re-election. Election Day will be held on November 7, 2017. On the day before a federal appeals court dismissed President Trump’s travel ban revisal, the Westchester Jewish Center hosted an event called “Welcoming Refugees, What You Can Do”. They had heard from New York Times journalist Jodi Kanter about the current state of refugees who are entering the US and the nation’s vetting process. Among the dozens of attendees last Sunday were Mamaroneck Mayor Norman Rosenblum, State Senator George Latimer as well as other elected officials. The event was sponsored by Neighbors for Refugees, a local humanitarian group, along with various nearby churches and synagogues. The same group will host a fundraising dinner on Tuesday, June 20th for International Refugee Day. The Larchmont Lions and Larchmont Library hosted a Family Eye Health Day on June 10th. The event featured services for the blind and offered recycled glasses free eye screenings. The event was part of the Lion’s 100th anniversary weekend. Those who attended also met a dog from Guiding Eyes. The Lego Stop-Motion telenovela “Amor Hecho Pedazos”, which was produced by LMCTV staff members Dena Schumacher and Sheyla Navarro was named Best Animated Program in the Access Center Professional Category at this year’s Hometown Media Awards. Congratulations to the producers and volunteers who made this production possible! You can watch all the episodes on LMCTV.org. Chatsworth Antiques held the Railroad Way Flea Market on Father’s Day, June 18th. Vendors were set up along the railroad in the Village of Mamaroneck selling all kinds of merchandise. Antiques, jewelry as well as adoptable pets from the local Humane Society were among the offerings. The Gyro Uno food truck was on hand to serve both patrons and sellers. It was a fun activity for all who attended. LMCTV recently replaced its old incandescent lights with LEDS that don’t generate heat and use much less electricity. What will happen to the old lights? Members of the community can borrow them for film and video projects. If interested, please contact Studio Production Manager Dena Schumacher for more information. The topic for this week’s Round Table Discussion was being transgender in Westchester and its effect on the people in community. Walter’s Hot Dogs, has been a local favorite and staple of our community since 1919. Producer Chloe Malushaga went to find out why the frankfurters are so loved. Our Pets of the Week are Tommy, a two-year-old black cat and Ronnie, a five-year-old female German Shephard. Tommy is a little shy at first but he is very sweet and curious. He loves to play and socializes well with other cats. Ronnie is also a little shy but she is also very caring and friendly. She gets. Along with other dogs and do well in a home with a fenced-in backyard. For more information on either Tommy or Ronnie or to browse for other pets, go to www.ny-petrescue.org. LMCTV is seeking donations to buy new set pieces. The current background flats are beyond repair. To make a donation, go to www.lmctv.org and click on the DONATE button. We appreciate any donations.